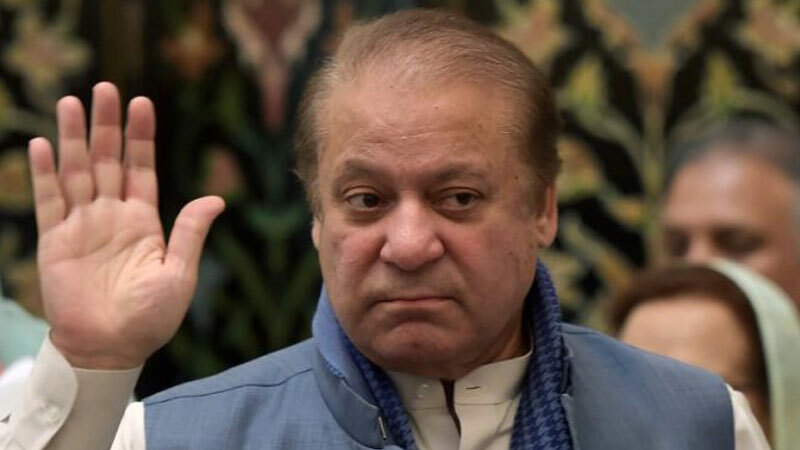 For the first time during the 11-month trial of the Avenfield case, deposed prime minister Nawaz Sharif will be produced before an accountability court from Adiala Jail today (Monday) to face Al-Azizia and Hill Metal Establishment references. Following an Islamabad High Court (IHC) order to transfer the remaining corruption references against Nawaz Sharif and his two sons to a different court, Accountability Court Judge Muhammad Arshad Malik conducted the first hearing on Thursday and issued summons for Sharif’s production from jail. Also, the court has summoned the Joint Investigation Team (JIT) Head Wajid Zia, for his cross-examination in the references today. The sources said that stringent security arrangements are being done on the arrival of Nawaz Sharif as he will be brought in court under strict security personnel. The vehicles carrying jammers and ambulances will also be included in the security caravan. More than 500 police personnel will be deployed in and outside the court and only the pass holders will be allowed to enter. Earlier, Accountability Court Judge Muhammad Bashir heard all the three references — Avenfield Apartments reference, Al-Azizia & Hill Metal Establishment and Flagship and other companies reference — for 10 months and pronounced the judgment in the Avenfield Apartments reference on July 6. Muhammad Bashir convicted Sharif, his daughter Maryam Nawaz and son-in-law Captain (r) Safdar and awarded 10 years, seven years and two years sentences, respectively, while imposing a heavy fine on the father and daughter. Roughly, the accused appeared before the court over 80 times. During the hearing, National Accountability Bureau’s (NAB) Deputy Prosecutor General Sardar Muzaffar Abbasi informed the court that Sharif couldn’t be produced before the court due to security concerns and then apprised the judge of pending references. NAB’s pending references are against Sharif and his sons — Hussain Nawaz and Hassan Nawaz – who have been declared proclaimed offenders due to their failure to appear before the court. Sharif’s counsel Khawaja Haris informed the court that the IHC was to hear an appeal by members of the Sharif family, seeking suspension of their sentences and granting them bail on Monday. He then requested the court to adjourn cross-examination of IJT Head Wajid Zia until Friday. “The prosecution can produce Wajid Zia for recording his statement in the Flagship reference if they want,” he added. The court, however, fixed Zia’s cross-examination for today and said defense may examine Zia if he has time left from his legal commitments before the IHC.